Penny George recipient of the University of Minnesota Center for Spirituality & Healing's award, "Spirit of the Center"
Penny P. George, George Family Foundation board chair, is the 2015 recipient of the University of Minnesota Center for Spirituality & Healing’s “Spirit of the Center” award given as part of its 20th Anniversary celebration on Friday, November 20, 2015. The award was given in honor of Penny’s 20+ years of service toward improving healthcare in Minnesota and beyond through the principles and practices of integrative medicine and health. 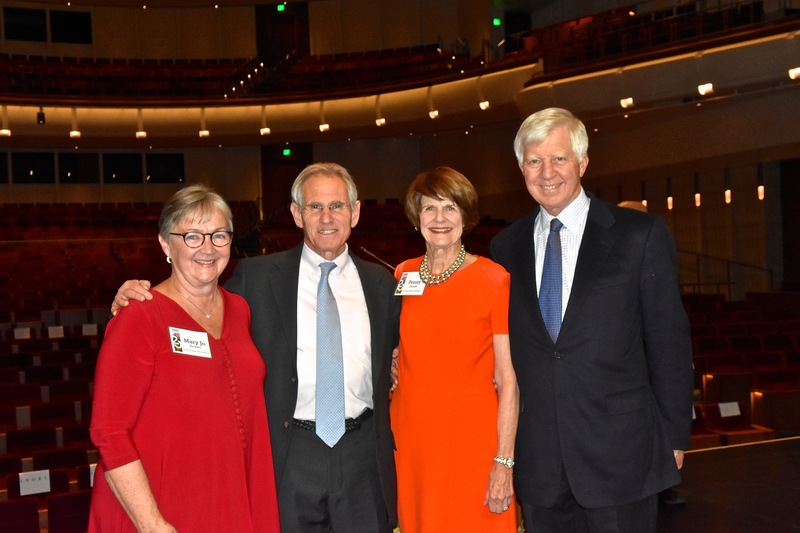 In presenting the award, the Center’s founder and director, Mary Jo Kreitzer, acknowledged that Penny embodies the five values of the award: courage, curiosity, compassion, tenacity, and vision. Penny is only the second person to receive this award. It was first given to Medtronic founder, Earl Bakken in 2010. For more information about the Center for Spirituality and Healing, please go to http://www.csh.umn.edu/ .